Last week we wrote about the financial contagion from Peugeot’s auto manufacturing business to its captive finance unit, Banque PSA Finance (PFA). 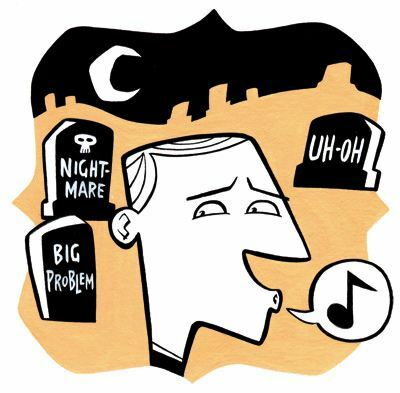 The important question this raises for management is whether there are other ways to get the synergies associated with a captive finance unit without at the same time being susceptible to the contagion. One set of alternatives keeps the unit as a captive, but tries to find financial structures that are not subject to the contagion. This includes separating funding sources and eliminating cross recourse. PFA is now considering offering deposits and making its liabilities separate from the Peugeot. It is also possible to capture the synergies by some other means such as a strategic alliance with an otherwise independent bank. That’s what Fiat/Chrysler is doing with Banco Santander. The new venture, Chrysler Capital, will provide funds to consumers purchasing and leasing Chrysler’s cars and trucks, as well as loans to dealerships construction, real estate and working capital. The French automaker Peugeot is in trouble. Automobile sales in Europe saw a dramatic 8.6% slump in 2012. For Peugeot it was even worse: a 15% drop. Since the company relies overwhelmingly on sales in Europe, the company was burning through cash at a rate of €200 million per month, according to the Financial Times. Earlier today the company reported a loss of €5.01 billion in 2012. Already last March, Moody’s had downgraded the company’s credit rating to junk. To stabilize its finances, management last year initiated a program of asset sales, an issue of new equity, and the closure of one of its manufacturing plants near Paris. 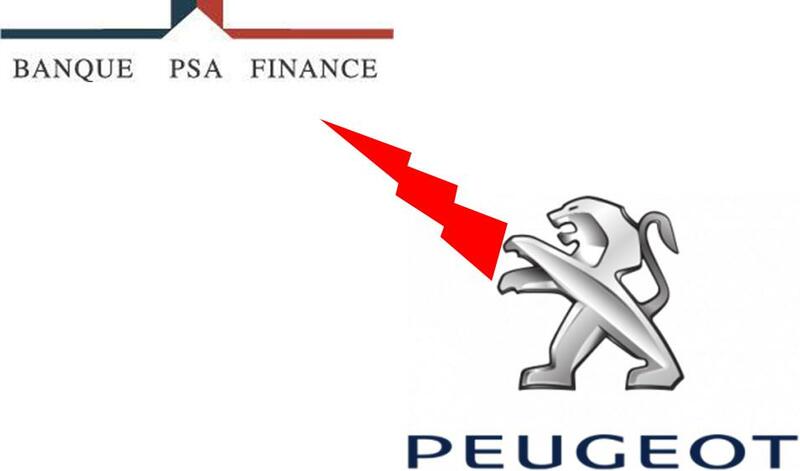 Like many other manufacturers, Peugeot owns a captive finance arm, Banque PSA Finance (BPF). The bank has a special access to Peugeot-Citroen dealer networks and supports automobile sales by offering loans, leases and insurance to customers. 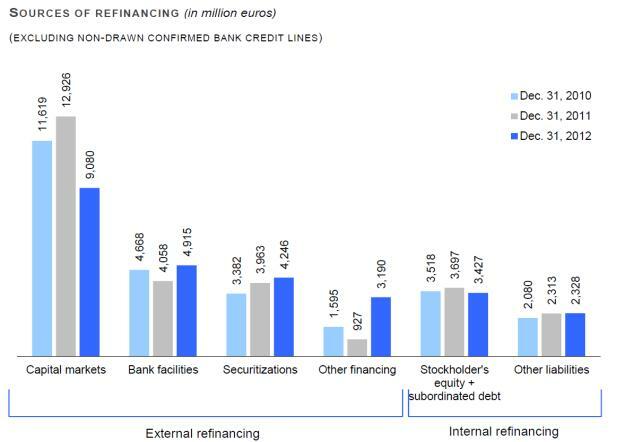 The bank gets its funds in the wholesale market, as shown in the figure below, taken from the bank’s 2012 annual report. BPF’s captive relationship with Peugeot-Citroen exposes it to the risks of the car company. The sales volumes achieved on Peugeot and Citroën cars directly affect the bank’s own business opportunities. The ownership relationship, too, creates exposure. Accordingly, the credit rating agency Moody’s determined that its rating of the bank is constrained by its rating of the parent. In 2012, the automaker’s financial problems infected the bank. As the parent was downgraded, Moody’s also reviewed the rating of the bank, and it was downgraded. In July, the parent was downgraded to junk, and Moody’s announced that the bank’s credit rating was in review for possible downgrade to junk status.